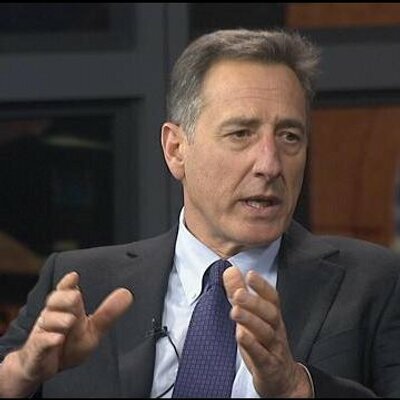 The Landmark College 2018-19 Academic Speaker Series opens with former Vermont Governor Peter Shumlin on Tuesday, October 2 at 7 p.m. in the Greenhoe Theater, located in the Fine Arts Building. Shumlin, who is currently serving as the College’s Visiting Lecturer in Politics and Leadership, will discuss renewable energy policies he championed as governor, and how students can take a leadership role in addressing climate change. Initially elected in 2010, Shumlin served three-terms as Governor of Vermont and was chair of the Democratic Governors Association from 2010-2014. He also served multiple terms in the state legislature as a member of the both the House and Senate, and was Senate President Pro Tempore from 1997-2003 and again from 2006-2010. Shumlin is a founding trustee of Landmark College, and a strong advocate for students who learn differently based on his own experience as a person with dyslexia. This event is free and open to the public. Click here for directions and a campus map or contact Eve Leons at eveleons@landmark.edu. For the entire 2018-19 Academic Speaker Series schedule, click here. Videos of previous speaker presentations are made possible by Brattleboro Community Television. Click here to view the archive.